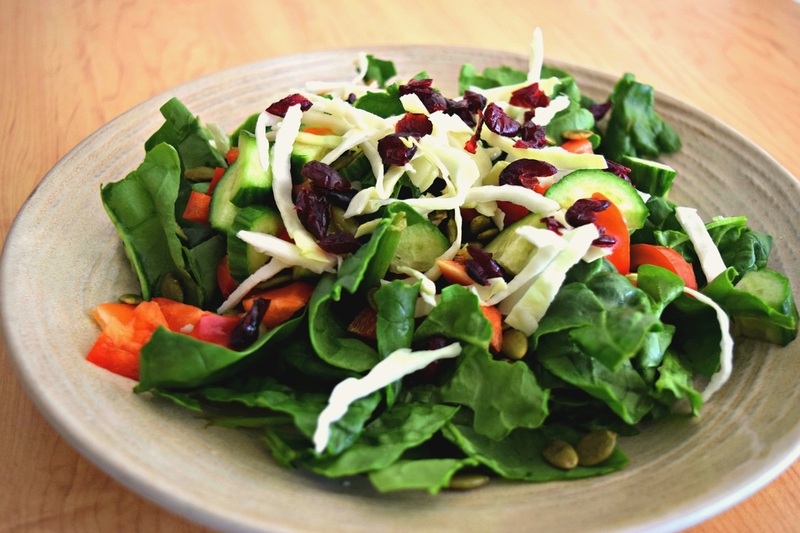 Did you know that there are recipes for salad?! I never thought you'd need one, until I started getting bored of the same-old-same-old and found myself googling "salad recipes." This one here happens to be one that I put together after staring at my open fridge for a good 30 seconds. That may not sound like a long time, but trust me, it is. Especially when you consider how much energy a fridge draws when you open its door! I used a really nice coconut-infused white balsamic vinegar mixed with olive oil for the dressing, but I suspect you could easily substitute this with a plain white balsamic vinegar mixed with melted coconut oil. Anyways, on to the recipe! My suggestion: just throw any vegetable onto your plate from the fridge that you see and think "that could be in a salad." Because that's what I did. And it was yummy. This one in particular was light, crunchy, and sweet but slightly tangy with thanks to the cranberries and pumpkin seeds. You could probably substitute this with regular white balsamic vinegar mixed with coconut extract. 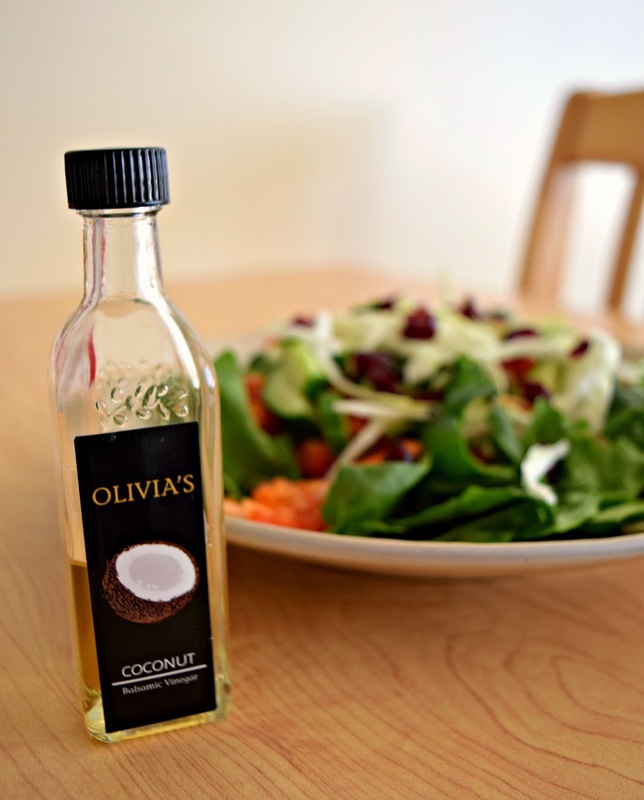 You may also be able to use regular white balsamic vinegar with melted coconut oil instead of olive oil. Tear spinach and place on plate as base. Dice tomatoes, cucumber, and red bell pepper. Serve chopped vegetables on top of spinach. 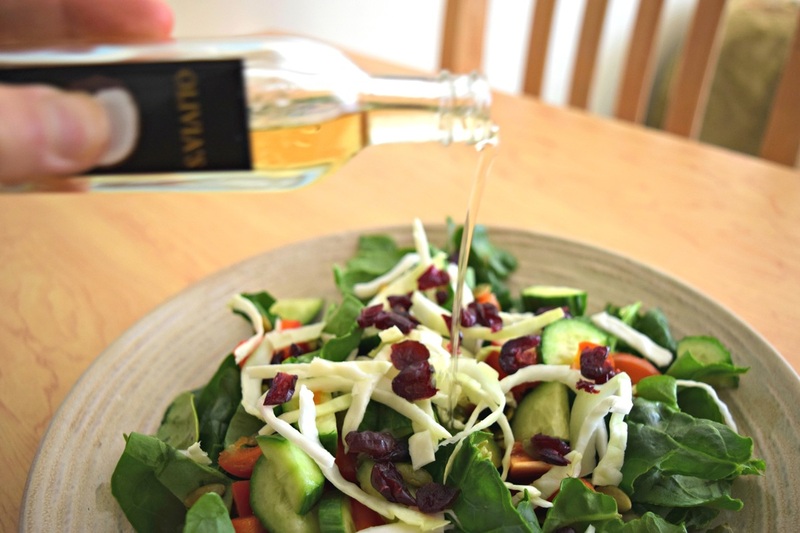 Dress the salad with balsamic vinegar and olive oil.